Movie freaks as well as Techno freaks must be quite familiar with the word firesale or firehall. Die Hard 4.0 was probably the last Hollywood movie, where the word was used or in fact whole of the movie was based on it. However, for those who, who are alien to the word as of yet, it is a term to denote a systematic cyber attack, and the Wikipedia describes it as an popular fiction describing a three-stage coordinated attack on a country's transportation, telecommunications, financial, and utilities infrastructure systems. The attacks are designed to promote chaos and foster a leaderless environment. The term "fire sale" is used because "everything must go". The basic point is, when there would be a Firesale, whole of the system of the country gets altered and there there is chaos all around. The common public suffers as everything, from Transportation to Communication gets disrupted. Certain events today in the country really instigated me to compare the situation with the so called Fictional attack and have actually given me an experience of what it would feel, had there been a real Firesale. Though whatever I have experienced is maybe just 1 per cent of whole of the actual attack. But it it enough to explain the horrifying fictional attack. The repeated use of the word attack might trigger some questions into the minds of the readers. But this is just for clarification that the concept of Firesale is fictional and whatever I experienced today was the simple technical failure of the Power Grid Corporation. In a rather more conventional way, I am just writing a post on the Importance of electricity and how it influences the humankind. It started two days back, when electricity went out at around 2:32 am. The first reaction was that of normal power cut and I continued to sleep till I woke up for my college. As I stepped out for college, I just believed that there might have been a technical slang at the locality and electricity to the society has not been restored. I boarded a bus, and as I crossed the first traffic signal, I noticed it was not working. Still, everything was quite fine for me. On my walk to to the college, I found all the people nearby out of the houses and complaining about their respective power companies. For the first time something triggered my mind, there is no electricity even in this part. As I reached the college, I got calls from friends from various parts of Delhi, asking the condition of power cut in my area. 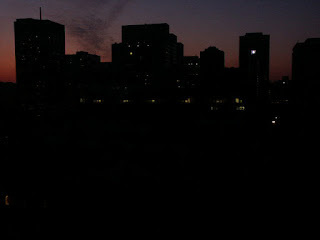 Now I was sure that whole of the city was under power crisis. However, the actual shock for me came when my classmates actually enlightened me with the fact that the Metro Services are at halt due to power cut. Now, for the first time I felt horrified. Never before I have heard of such. Power to the communication modes are never actually compromised, no matter how worse the situation is for the public. But no sooner, everything was restored and the official statement was made about Northern Power Grid failure was made, so I didn't allow my mind to imagine the effects of whole of the event. Now two days later, today, I stepped out of my college and reached for the Metro Station. I found a bunch of people waiting at the entrance and a few news channel reporters alongside. Oh! God, not again, I thought. And yes, there has been a power failure again and the Metro has been shut down. Yet ignoring my mind warnings, I decided to take an auto to CP for the completion of my intended work. And believe me whole of the ride really made numerous thoughts flow in my mind, most of which were horrifying. There were hundreds of people standing in the bus stops waiting for their Bus, but there wasn't any. Even in stops like Race Course, where there are hardly 10 people waiting for a bus, you find hundreds. For every auto that passed, ten of hands went up. But all the autos were filled. Adjustment apne khoon mai hai. 1 km long queue of vehicles waiting to fill their gas at the gas stations. And the station is closed, saying power failure. Most of the traffic lights down, creating a menace among the drivers and long traffic jams all round. As I passed around CP, I heard people commenting about the crises being spreading all round with 11 states facing power cuts. The Northern and the Eastern Power Hubs, all have failed. Communication facilities are jammed. Calls were not being connected easily. 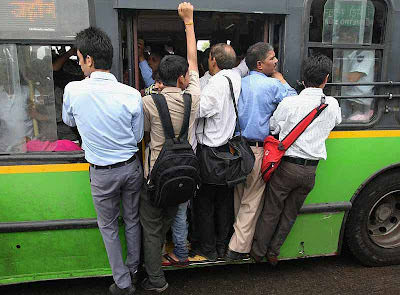 And what made it look worse was the Anna Hazare strike near Jantar Mantar, the crowd and the situation clearly made it look like an emergency situation, alongside the traffic jams and stuck people. Now tell me, how can I not compare the situation to partial Firesale? 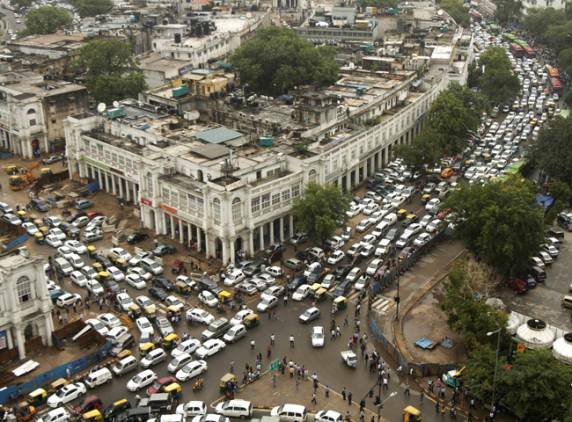 At that very point of time, in front of Jantar Mantar, the scene looked very much similar to that of Die Hard 4.0 with all the people stuck and traffic jammed. The metro stopped and gas stations shut down. Just see the situation. Its like, just 4 hours of power cut has made the life of the people hell. By gods grace, it was a cool and pleasant day, but had it been a bright hot sunny day, imagine the situation of the people. Friends, you most of us got a fair enough idea about a day without electricity. So, instead of blaming the Government, just think of saving and conserving resources, because we cant imagine a 4 hours without electricity. Think of the whole life.